Americans are well aware that their health insurance premiums have increased steadily in recent years. The data substantiate it. According to Mercer’s 2017 National Survey of Employer-Sponsored Health Plans, large employers have absorbed a 3 percent annual increase in health insurance costs over the past five years, and will be hit by a 4.3 percent increase in 2018. What people aren’t privy to is that psychotherapy reimbursement rates have been stagnant or in decline for several decades, even though insurance premiums have risen sharply. This is mystifying given that the vast majority of people afflicted with anxiety and depression prefer psychotherapy over medications, science shows it rivals or even exceeds the benefits of medications, and it yields a “medical-cost offset,” or saves insurance carriers money on avoidable medical costs. An exhaustive list of highly-regarded studies buttressing the effectiveness of psychotherapy put out by the Council of Representatives at the American Psychological Association can be easily accessed online. It highlights how the benefits of psychotherapy tend to endure longer than those brought about by medication use alone, how they often accentuate those obtained from medication use, and contribute to a host of favorable outcomes such as reduced disability, enhanced work functioning, fewer costly psychiatric hospitalizations, and fewer unnecessary medical services and surgical procedures. Long-term, in-depth psychotherapy, where clients are allowed to settle in and talk at length about their past and present emotional difficulties with significant others, even has some impressive scientific backing. The latest findings of the Tavistock Adult Depression Study (TADS) show that 44% of depressed clients who were provided 18 months of weekly psychoanalytic psychotherapy no longer met the criteria for a depressive disorder two years after treatment ended, compared to 10% of those receiving standard short-term problem-solving therapies, or medications. Longer-lasting psychotherapy where clients delve into their personal history in deep ways has also been associated with significant savings in healthcare utilization and lost productivity. Dutch psychologist Caspar Berghout spearheaded a study in which two years after long-term psychotherapy ended there were cost savings in the $4,500 range per person, per year, due to decreased unnecessary utilization of medical services and higher work productivity. 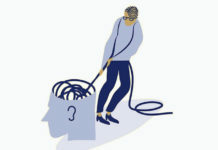 Which begs the question: “How much psychotherapy is necessary to achieve adequate emotional recovery?” Michael Lambert, a leading expert on psychotherapy research outcomes from Brigham Young University, proposes that the most conservative estimate of the number of therapy sessions required for 50% of clients to show short-term improvement is 21. 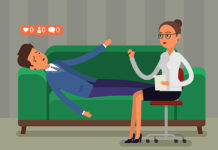 Yet, in the latest study of its kind looking at national trends in psychotherapy usage by Mark Olfson in the Department of Psychiatry at Columbia University, the average number of psychotherapy visits received by clients fell from 9.6 in 1998 to 7.9 in 2007. Up to 50% of clients discontinue after the first or second visit, and only about 16% attend the twenty-visit range associated with adequate benefit for most people. The main reason why people in emotional need fail to receive acceptable amounts of psychotherapy is that too much of the cost is shifted over to consumers by insurance companies. 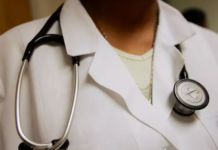 A recent report by the risk management and health care consulting firm Milliman revealed that mental health services are four to six times more likely to be provided out-of-network than general medical or surgical services. In Washington, D.C. alone, about 63% of mental health related office visits were out-of-network in 2015. In a nutshell, what is occurring is that droves of psychotherapists are unwilling to contract with insurers because of low reimbursement rates, leading to a sizeable number of clients paying out-of-pocket for needed care, which pressures them to underutilize it for affordability reasons. The American Psychological Association estimates that about a third of psychologists refuse to take insurance, primarily because of low reimbursement rates. How low are they? Blue Shield of California currently reimburses a client of mine $40 for a sixty-minute session, which is about half what a midlevel psychotherapist charged in the 1980s. When I was an Anthem Blue Cross provider a handful of years ago, I was notified that the customary payment for a forty-five minute session would be raised $2, to $94. This was the first rate increase in thirty years. The average third-party reimbursement by private insurers for forty-five minutes of psychotherapy is around $88, according to the analyses of Gordon Herz at the Forward Psychology Group in Madison, Wisconsin. That is about half the national average actually charged by psychologists ($163), and substantially lower than that of clinical social workers ($136)—numbers put out by FAIR Health. The $88 average third-party reimbursement rate for forty-five minutes of psychotherapy is about what Medicare pays. Yet, 2017 Congressional Budget Office data show that private insurers typically reimburse specialists about double the amount for common medical procedures compared to Medicare benchmark amounts. Health insurers have the revenue to raise psychotherapy reimbursement rates to encourage experienced therapists to take insurance and become in-network providers, thereby lowering clients out-of-pocket costs and incentivizing them to receive an adequate length of treatment. In the second quarter of 2017 alone, Thomson Reuters I/B/E/S data indicate that the nation’s top six health insurers yielded adjusted profits of $6 billion. Next articleDo Social Network Sites Help or Harm Well Being? I can not approve you because insurance is a way to control and develop pharmaceutical drug trafficking, not to save money. Certainly, an insurer does not have an interest in the increasing the health expenses of a particular client. However, he has interest in a global increasing of health spending, in order to adjust its fees on this increase. This is the paradox of insurance: limit fraud for each individual, but increase overall spending. On the other hand, insurers organize the “mental health” market to maximize their long-term profits. For this, they need agents in the place. These principal collaborators are psychiatrists: they have a solid corporation that has the hands on hospitals and the prescription of neurotoxic drugs. In addition, they do not spit on money and know very well how to keep their customers, through institutionalization and legal addiction. That’s why they are very well reimbursed. They are a caste of privileged people who structure the market. Then come the graduate psychologists working in the hospitals, who enjoy some privileges. Finally, non-graduated psychotherapists who have no advantage and have to cope with hard work. The struggle for middle class privileges will not change the dictatorship of the psychiatric institution, the pharmaceutical industry and the health insurances. On the contrary, it will weld the professionals better in the same financial interest, it will strengthen the hierarchy. You start from the assumption that the goal of the “mental health” industry is the improvement of “mental health”. Not at all: like any capitalist enterprise, the goal is profit, and only profit. But it turns out that overall, at the scale of a whole system, pharmaceutical drug trafficking is the most profitable for health insurance, psychiatrists and of course the pharmaceutical industry. If it causes more destruction than construction, it does not matter. If we could not make a profit with the destruction, then why the war? Why drug trafficking? Why pollution? We often make more profit by destroying than by building and in general, we often make a mixture of both. The economist and sociologist Thorstein Veblen has developed a theory on sabotage, or how to make profit by being less efficient by the organization of the monopoly, especially via the financial sector of which insurance is part. Thus the psychiatry has developed as it has become less and less effective and more and more harmful. That’s why I think we must not refund psychotherapists, but stop refunding psychiatrists and psychotropic drugs. We must abolish privileges, not create new ones. Privileges reinforce hierarchy, which is organized in order to maximize profits; and to maximize profits, you have to sell drugs. Just want to say that the funding system is like a black market. It’s surely clandestine. Also note that all the specific services at mental health centers are diced like being on chopping block and have unique billing codes. This obviously perpetuates the issue. You got that right! Funding defines what is provided, and who decides what is funded? Hint: it is NOT the people who are actually supposed to be helped by the services! Since the primary function of both the psychological and psychiatric industries, historically and today, is covering up child abuse. Today, over 80% of those labeled as “depressed,” “anxious,” “bipolar,” or “schizophrenic” are actually child abuse victims who were mislabeled with the billable DSM disorders. And over 90% of those labeled as “borderline” are mislabeled child abuse victims as well. And the problem with this is that child abuse is a crime, not a brain disease. Thus psychiatric drugs won’t cure child abuse victims, but the psychiatric drugs do harm child abuse victims. Millions of child abuse victims are being misdiagnosed with the billable DSM disorders because today’s “mental health professionals” can NOT bill ANY insurance company for helping ANY child abuse victim EVER. This DSM “V Code” insurance billing “flaw” should be fixed. And we shouldn’t forget that covering up child abuse is actually illegal behavior. Thus, I don’t personally believe either the psychological or psychiatric, primarily pedophilia covering up, industries deserves funding. Our society would be benefitted more if we started arresting the child molesters, instead of providing greater funding for industries whose primary actual function within our society is covering up child abuse. As much as I’d like to view talking “Treatments” as a viable alternative to psychiatry, the two work hand in hand, defrauding people left and right, all the way, all the time. Mental Health, Inc. as a whole should be abolished. > Anybody can talk to another human being about their problems, life in general. I think that is incorrect. Psychotherapy has developed and professionalized precisely because people have become devoid of empathy and listening. To transform a quality into a commodity, you must first strip humanity of that quality. So it becomes possible to sell it. But this spoliation is not the fault of psychotherapy. Psychotherapy is the consequence of this spoliation. Then occasionally they’d say, “You’re not your illness.” Or tell me being “bipolar” gave you awesome super powers and tell me to read Kay Redfield Jamison’s marvelous fantasy novel of alternate history. Make up your freaking minds! however after 18 months or just 6 sessions our lives are constantly changing and in many ways and the overwhelming majority of this change happens far away from any therapy room – perhaps the elements of any psychotherapy mentioned by David Smail of comfort, clarification and encouragement might have been helpful but to put it all down to a few hours talking in a room is to grossly oversell. Where are these people with a neat issue like ‘major depressive disorder’ it seems to me that our experience is closer to a vast and unknowable weather front constantly moving and changing even if we ourselves can’t grasp the change – most of our experience seems beyond awareness – im reminded of the iceberg metaphor – its amazing to me that we’ve managed what we have given the bias and blindness we all have. It seems that suffering like everything else changes and suffering is a normal and natural response to life experiences, not a sign of a disorder more a response to disorder in the culture full of meaning and confusion. It seems we need some adversity to grow and problem solve but much of the cultural level disorders stemming from government policy, economy, education, advertising, class, re food industry, drug industry, etc sulting in poverty real or relative , harmful jobs, family breakdown, community breakdown, substances issues, physical issues, insecurity, stress, physical health issues, dependence etc can and should be healed by valuing life on earth and compassionate policy that honors this overwhelming mystery we call life.